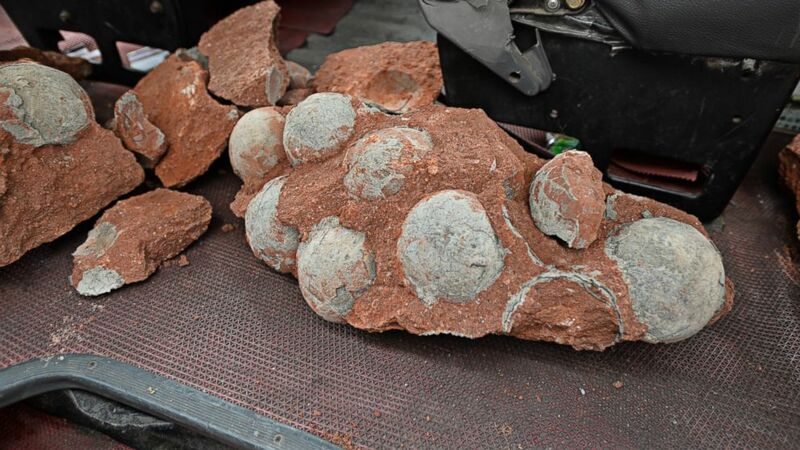 American engineer Lisa Glover had an amazing idea on how to “revive” dinosaurs. 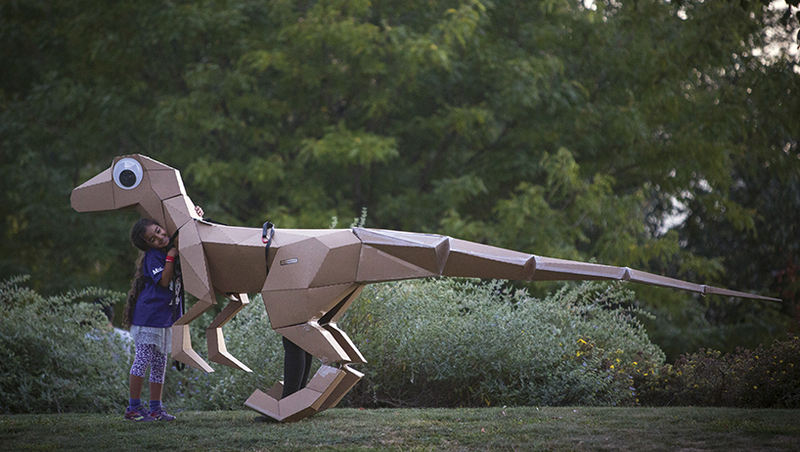 Now don’t get too excited, she is not building a real life Jurassic Park, but she is providing us with a very fun feel of it. 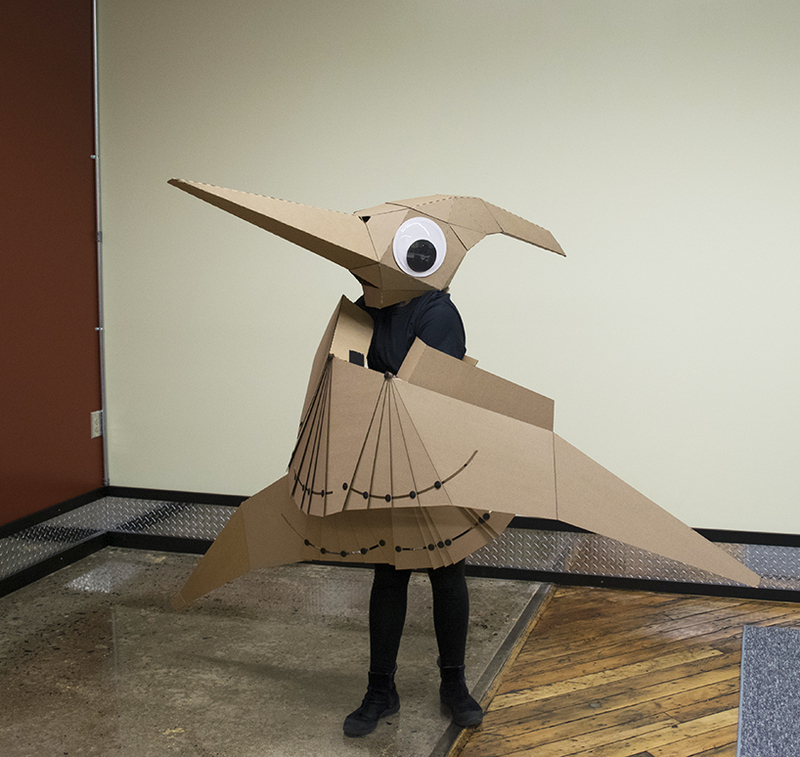 Glover first created a cardboard pterodactyl as a homework assignment, but it quickly involved into a time machine to the prehistoric period. 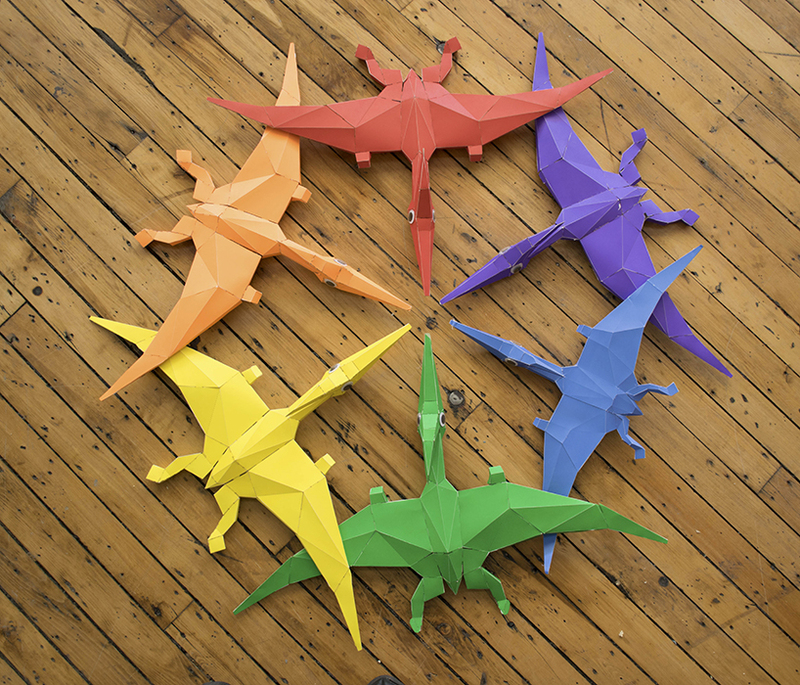 Her first craft was a walking, wearable velociraptor which has now progressed to something a bit more challenging and creative, as the engineer now makes colorful miniature pterodactyls the buyer can craft by themselves. 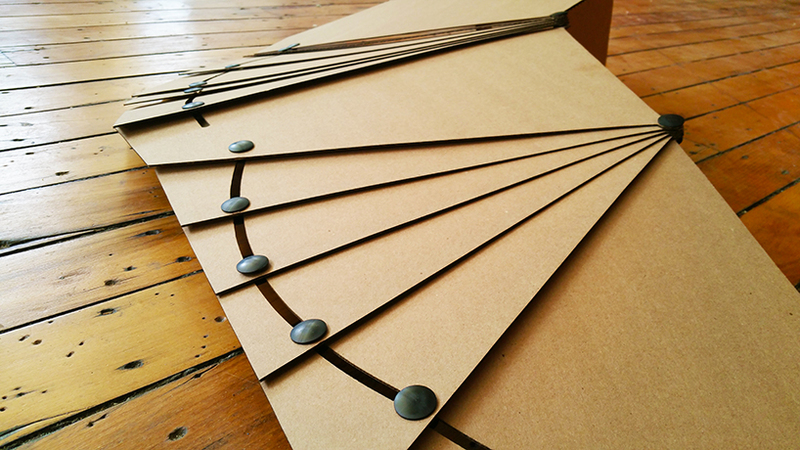 The wings are constructed using e-flute corrugated cardboard, hot glue, and box rivets. 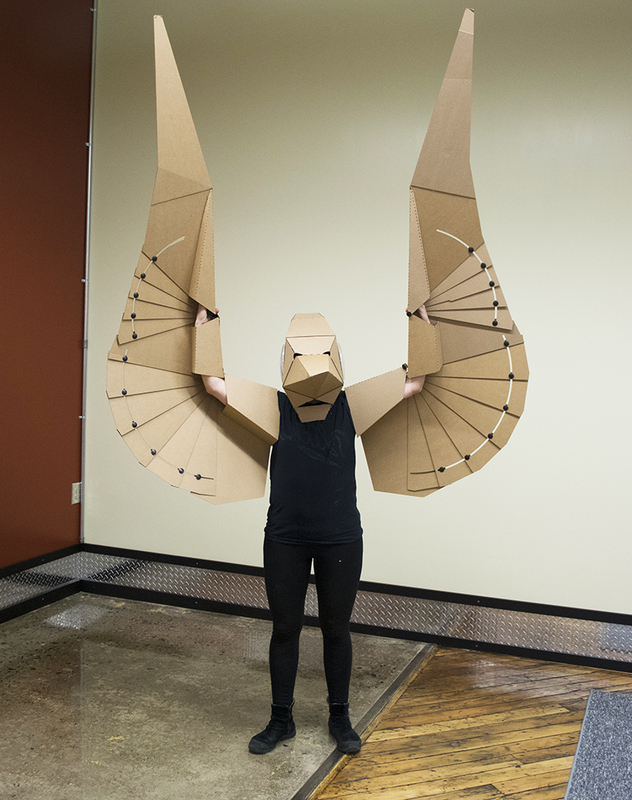 Each wings reaches a width of 7ft and when folded they are approximately 4ft. 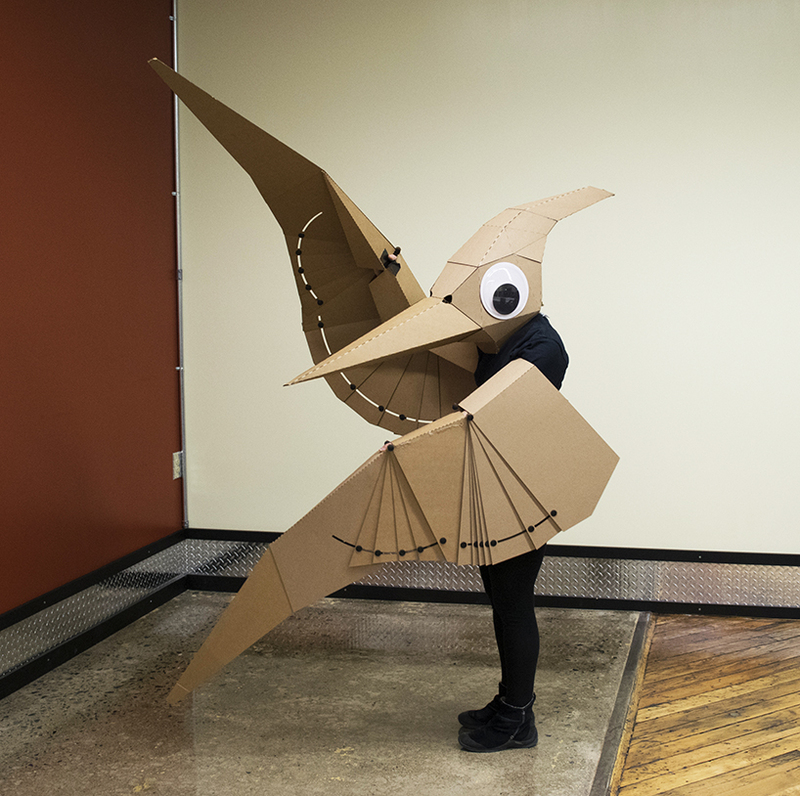 She uses box rivets to give her structure flexibility and fluidity, while it helps it make a noise very similar to an actual flying pterodactyl -not that we have ever heard a pterodactyl though. It’s googly eyes might be big and threatening, but they definitely make it look more cute than scary. 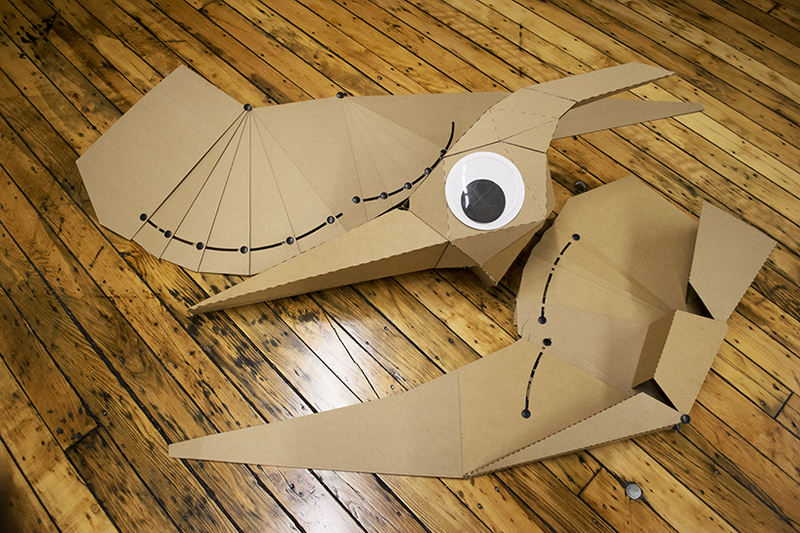 The adorable dinosaur was designed in Rhino and cut via laser cutter at Glover’s local makerspace.